Did ya say doilies? What could I ever do with doilies? Does a doily lamp shade seem to overwhelming a project? What about this sweet and totally do-able idea? I also think sewing a small doily onto the bottom edge of a denim jacket or the hip pocket of a pair of trousers, would look super great. 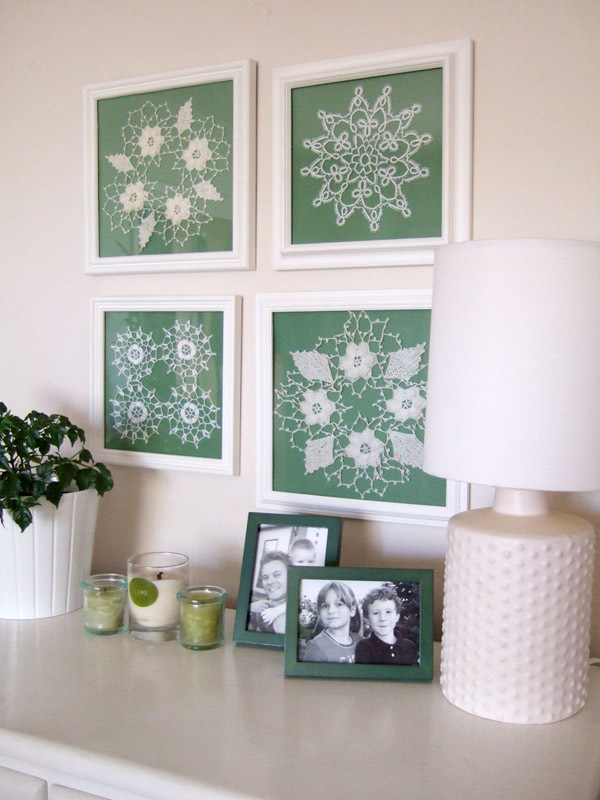 Doilies – For some DIY for you or in time for Valentine’s Day (or Mother’s Day or refreshing your space day….) Come on in and check out our vintage wares. these ideas are so nice! 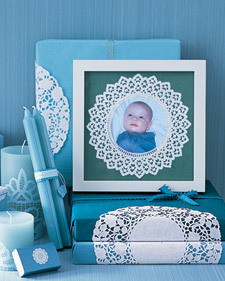 I love doilies and lace!